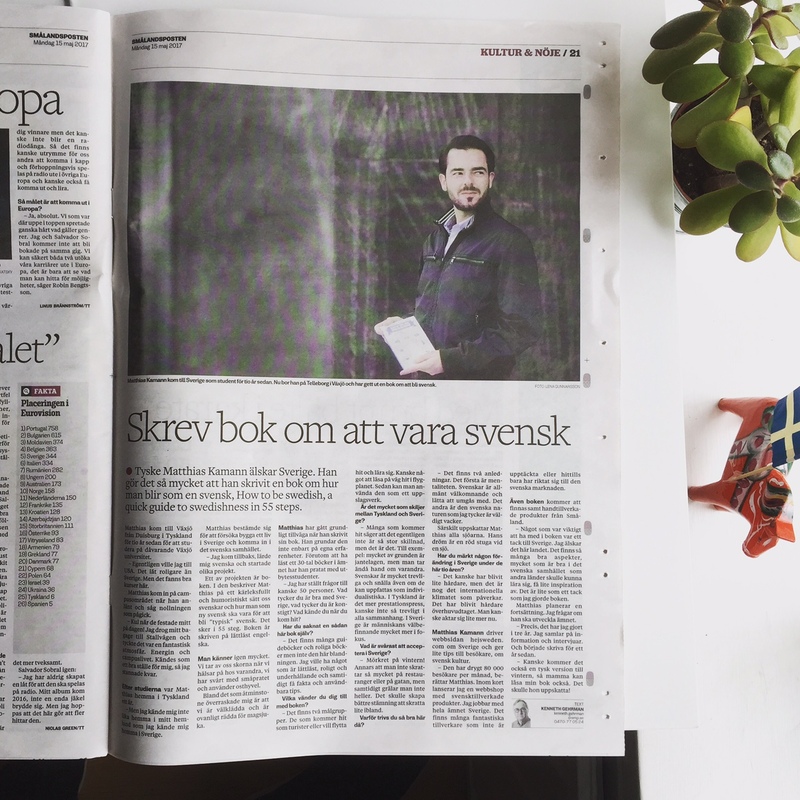 On Monday the 15th of May 2017, Smålandsposten published an interview article about me and my book “How to be Swedish”. About a week before, I went into Smålandspostens office in central Växjö to tell hand over a copy of my book, hoping they would find it interesting. The journalist Kenneth Gehrman, who writes book reviews and about culture in general, told me he’d have a look. A few days later, he replied to a mail, saying that he’d like to interview me the next day. I got very excited! And of course a bit nervous. The next day, I went to Smålandsposten where the friendly photographer Lena Gunnarsson with her intern Klara welcomed me and asked for a photo. We went outside, and she took several pictures of me with the fassade of Smålandspostens office as backdrop. Back inside, I followed Kenneth to a small room where he started the about 30 to 45 minute long interview about me, my decisions why I came to Sweden, impressions of the Swedish culture and of course my book, How to be Swedish. It felt great to get the opportunity to share my story with Kenneth and through him and Smålandsposten with all their readers. 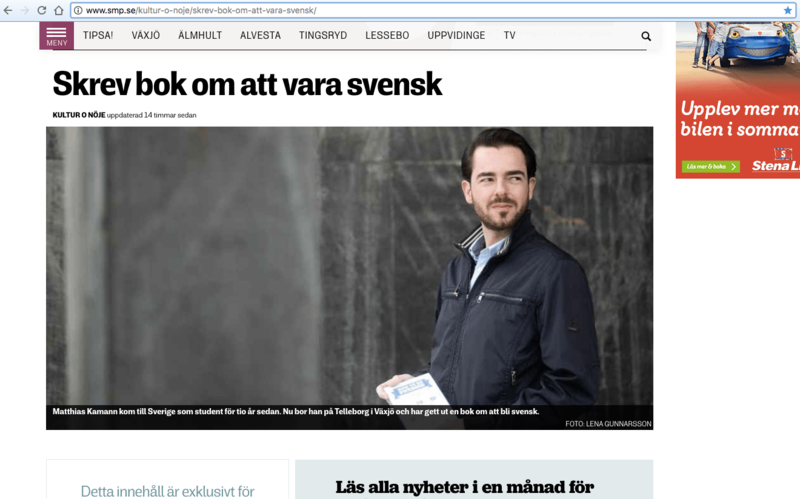 On Monday, when I noticed the article was published – a friend sent me a photo of it – I quickly went through the article, since I didn’t know in advance what had been written. I really like the article! It think it shows how much I love Sweden and the Swedes. On my way to the office, I dropped by at the post office where the cashier behind the counter commented: “Nice article! I read it today in the newspaper. Really great!” This made me extremely glad! She noticed me from before, but of course she only knows your face and what your buying. Suddenly she knew a big part of my story, my feelings for the country and my plans for the future. The whole day I received so many positive comments and feedback from my friends. This made me really happy!